Enjoy outstanding hospitality during the 2018/19 National Hunt season in style with our Cheltenham April Meeting hospitality packages inside the Grandstand Box. Perfectly situated on level four of the spectacular Grandstand, this luxurious private box gives guests the chance see world-class jumps racing whilst enjoying some of the finest hospitality available. The April Meeting at Cheltenham Racecourse is the penultimate event of the jumps season at the famous venue, with two superb days of midweek racing. The Cheltenham April Meeting is one of the most popular race meetings in the National Hunt calendar and our exclusive Grandstand Box is the perfect way to entertain your valued clients and guest in 2019. Entertain your important clients and guests in a fantastic private Level 4 Grandstand Box for the April Meeting at Cheltenham Racecourse. With its own viewing balcony overlooking the winning line, it is a superb base for the day to enjoy your Cheltenham Racecourse hospitality and the racing action. Prices quoted below are based on a full hospitality package for 12 guests with a plated served meal. Additional guests can be accommodated up to a maximum of 18 guests on a buffet basis please contact us for a tailor made quote. Perfectly situated on level four of the spectacular Cheltenham Grandstand, this VIP private box offers guests the chance see world-class jumps racing whilst enjoying some of the finest hospitality available. The Grandstand Box provided us with a fantastic VIP experience at Cheltenham Racecourse. The views were stunning and the hospitality was some of the best I've experienced. If you are looking for a unbelievable experience at Cheltenham, than this Grandstand Box is the best package. We enjoyed one of the finest days of hospitality and the views were breathtaking. 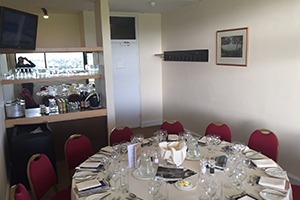 We have a dedicated page where you can view, download and print all of our event information for our Cheltenham April Meeting Hospitality – Private Grandstand Box.